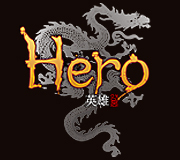 Hero Online is a masterpiece created by three generations of distinguished martial art novelists. The storyline is written by first generation martial arts novelist, Kum Kang, who utilizes a complex combination of story content and plot twists, free from prearranged paths, that brings a whole new gaming experience. Player characters learn many skills and forms. Every form has its distinct motion, damage, and impact. While they will not be available from the beginning, skills will be attainable as players’ skill-experience increases. After 4 Dan (level 40), you may create a house by paying 10,000,000 gold to House Manager of Dragon Castle. You can invite players to join your house, and even do house wars. You can also make Your house more famous. If your house’s fame is high, you may even get some benefits. Each faction, Zhuang and Shao can battle each other through the wars that convene regularly every week. You can choose your faction when you first set up a house, or when you join your house. Once decided , your faction cannot be changed. There are PK channels and regular channels, and PK zones with in each of those channels. 1) The basic PK rule is that, the last person to strike is the winner, and the dead loser. 2) We don’t recommend dueling a player with 20+ level difference. 3) When you die with 0 fame, you lose more experience than usual. 4) Users that us premium items such as Sculpture of Scared Tiger, and Phoenix will lose less experience than regular users. 5) You may use NPCs to teleport to random points of fields in some maps. 6) In the PK zones of regular channels, and in all PK channels, teleporting items such as Charm of Return cannot be used. 7) Daily Honor Point limit has been disabled. Warriors can learn additional combat skills that can be used on self and others to increase their attack/defense rate. Also, health increasing skills can be learned. Hunters can tame pets and also mine minerals. Passive skill increases the character’s defense. Physicians can increase all types of damages (Confusion, Poison, Paralysis…) and health on self or others. Physicians can also cast skills that give opponents status ailments. Passive Skills include increasing Ki and skill defense. They possess hiding and tracking skills, thus very good at stealth movements. Passive skills include increasing self accuracy and evasion. We also visually entertain you with effects of fabulous skills. When you learn wind drift, you can move faster than walking. When you get to even higher level, you may fly to places where you couldn’t go before. Speed is also incomparable with Wind Drift. Hero Online’s skills are creative, active, and gorgeous that they will definitely give you viual satisfaction. Games can get boring after repeated task of killing monsters. In Hero Online, we have a lot system, which will bring a little fun to this task. Each kill a user achieves will be accumulated and once the value gets to a certain point, it will initiate a lot, which will give you random effects, items or benefits. Players can make a party. When one member of a party becomes endangered, he/she can send an SOS message to the party members on the mini map. Also, there is an item that allows players to teleport other party members to where he/she is, instantly. House rank is determined by how actively house members participate in house activities. Contribution point is gained/lost by vendetta. House rank changes like below. Players may have many pets whether acquired by purchase or taming. As long as they’re fed, pets will level up on their own. There are mount pets and combat pets. Pets also rank up once they get to certain levels, in the following order. Beginner Pet -> Normal Pet -> Master Pet -> Divine Pet. The first stage. Nothing is special. More elegant and smarter than beginner pets. They carry special abilities. Once master pet’s level gets to the maximum, it becomes a divine pet, which enables the pet to use special abilities they carry. There are two types of pets: Mount and Combat. Mounts can be ridden by players. Players can use mount pets to travel. It also takes damage for you if you get attacked. Combat type pets help players with battles. Also, when combat type pets level up to Divine pets, it allows them to use unique skills that they possess.